It happens from time to time to lose the password for the admin account you have on your Boonex Dolphin based Social community and you will probably wonder in such case how to recover that password (reset it). In this tutorial we will provide you with few methods you should consider for resetting the password without having access to the application. 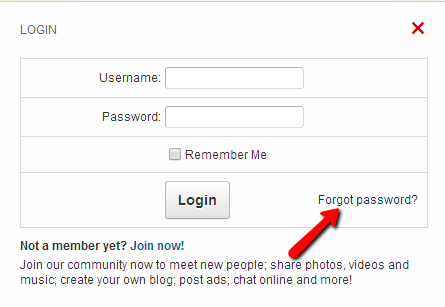 The option in question is presented at the frontend of your Social Community, upon clicking on the login button or link. Once you click on that link you will be redirected to the forgot.php page where you will need to enter the email account you are using for your user in your Social Community. Note that we have an active reCaptcha verification which should be considered as a mandatory. 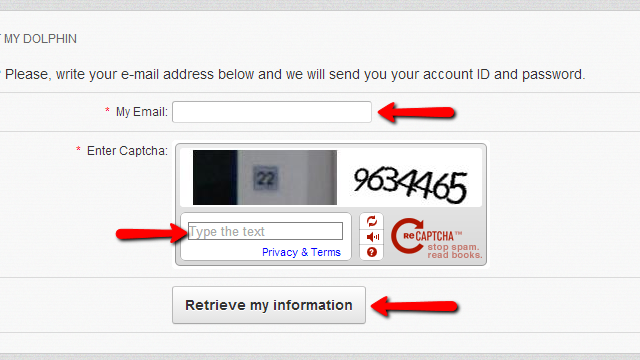 If you are not quite sure how to activate the reCaptcha feature please check the our other tutorial on that matter. Once you click the “Retrieve my information” button you will receive an email on the concrete email account with further instructions on the matter. This method will require for you to know the concrete database your application is using. If you are not quite sure how to retrieve that information the following additional explanation should be sufficient. Where the “path_to_your_Boonex_Dolphin_installation” is the actual location where your platform is installed on. The example_database is the name of our database in this particular example and you should be able to find the name of yours by checking the line of code we have mentioned. Now that you know the name of the database it is time to execute some queries to the database. This will require from you to use the phpMyAdmin application provided in your cPanel. As soon as the application in question is accessed you will need to locate your database from the list of databases for your account provided in the left vertical tree view. Once you find the database name please click on it so you can be presented with the tables of your database. 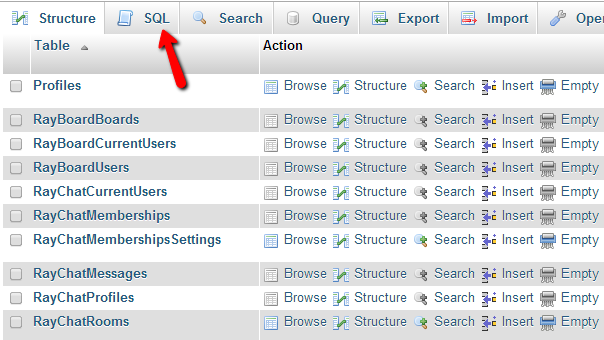 Now you will need to click on the SQL tab where you will be presented with the option execute SQL queries. Where you should replace the New Password string with the actual new password you would like to use. When you are ready with the queries press the Go button so they can be executed. When these are executed correctly you will receive a successful message indicating the affected rows. The last step is for the cache generated for the concrete user to be cleared. This can be achieved if you navigate to the folder where the Boonex Dolphin platform is installed and search for the cache/ folder. 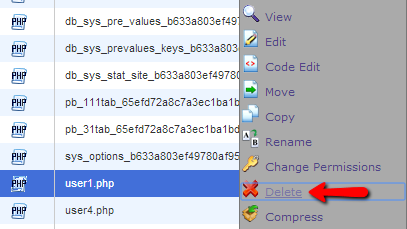 In that folder you will find quite a lot of files, however the one you are looking for is called user1.php. Now you will need to delete that file which you can achieved either via the FTP service for your account with us or you can use the Delete feature of the File Manager service provided in your cPanel. Congratulations! Now you know how to reset your password in case of emergency or a forgotten password!